Crabs are messy to eat! Find a great outdoor patio, roll up your sleeves and dive-in! 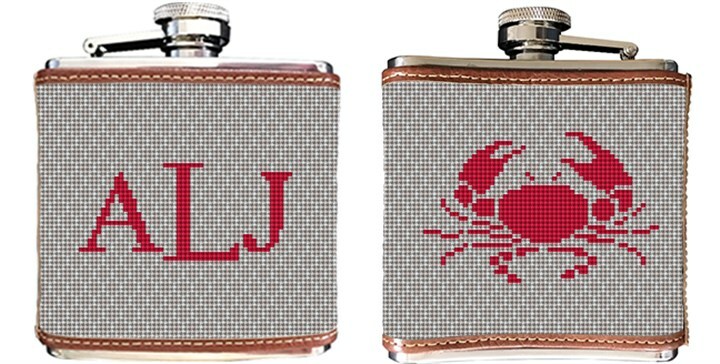 When waiting for the next crab feast to take place, stitch our crab needlepoint flask canvas and commemorate one of your favorite past-times. Be sure to include your monogram to further personalize this flask.